As ever, red text contains hyperlinks that take you to other webpages where you can read more! It's a beautiful late autumn day today, almost wintry with the cold and frost! The trees certainly look wintry in Craiglockart Dell along the Water of Leith. This is my favourite larch tree in the Dell, the larch is the only species of conifer that loses its needles in the winter, which is why they're all yellow! A few years ago I studied this larch for Tree Following and here you can read my post about how the larch flowers develop through the year. It's National Tree Week in the UK, a time to celebrate trees at the beginning of the winter tree planting season! 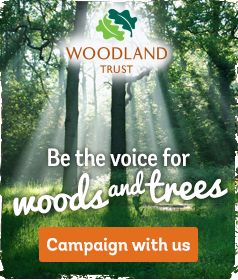 Find out more from the Woodland Trust, here. It's Book Week Scotland! A chance to celebrate books and literature! You can find out more on the Scottish Book Trust's website here. The Book Trust has put together lists of books for different ages annd on different topics, which you can browse here. Alternatively if you're interested in books about nature and environmental issues, you can browse my book reviews here. There are events all over Scotland too, you can find out what's happening near you here. After being bullied mercilessly by her classmates, Aylin (Almila Bagriacik) a 17-year-old Muslim girl of Turkish descent gets into trouble with the law and is sentenced to community service at an out-of-town horse stable. Things don't immediately go well as the owner of the stables is too distracted by her own disintegrating homelife to want to offer support and training to a troubled treenager. However Aylin soon discovers a bond with the spirited and beautiful Icelandic horse Hördur and a talent as a horserider. Can she persuade the stable owner to let her enter a riding competition and can she persuade her father that horseriding is a worthwhile pursuit? Aylin's daily struggles at the stables, at school and at home (where she looks after her younger brother while her widowed father works all hours in low paid labouring jobs) are intercut with beautiful etehreal dream sequences where she rides a horse through a mystical woodland. This is a wonderful coming of age film that offers insight into the difficult lives experienced by many migrant workers and the transformations that relationships with animals can make. Hordur had one screening today as part of the Fokus season of German films at Edinburgh Filmhouse. Today we walked round Corstorphine Hill, but chose a different part of the hill than we normally walk on a Friday lunchtime (you can see the photos from yesterday's walk here). the orange conifer tree in the photo above isn't ill, it's a larch and is the only conifer to change colour and lose its needles! also several bullfinches, though they wouldn't pose for a group photo, there is a 2nd male in this photo, can you see him? The paths are carpeted with leaves, I love the copper carpets under the beech trees. National Tree Week marks the start of the winter tree planting season and you can find out more here. There were lots of bullfinches and chaffinches flying around this part of the hill, the male bullfinches' breasts shining beautifully pink in the low sunlight. They didn't want to stop for photos though! and the hairy stereum fungus is looking at its best! and during my walk the weather changed almost by the minute! where the boats will wait. Previously published on The Bijou Poetry Review. Down to the River and Up to the Trees, written and illustrated by Sue Belfrage, will inspire you to get outdoors more and be more creative once you're there! It's divided into sections dealing with different aspects of the outdoors (such as Earth, Sky, Water) and each section is packed full of ideas for activities including recipes for using foraged ingredients (including elderfower cordial and hedgerow jam), creating rainbows, dissecting owl pellets and taking photos. It's a book to dip into whenever you want, and the ideas are accessible for people of all ages. It includes pages to make your own notes or drawings. 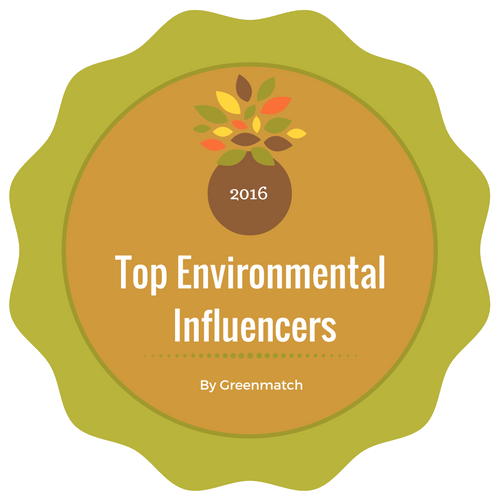 It's a great way to encourage people out into nature who normally don't go outdoors much or to use with children to inspire them to be more observant of nature and more creative in their responses to the outdoors. If you already spend a lot of time outdoors, the activities offer a number of new ways of speding your outdoor time! 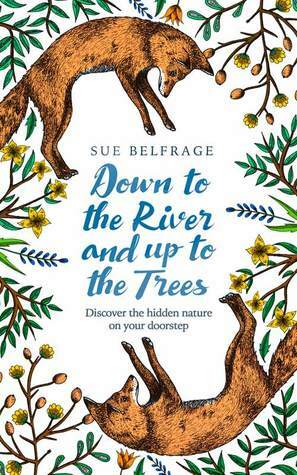 Down to the River and Up to the Trees by Sue Belfrage published by Harper Collins (2017) and printed on paper from FSC certified sustainable sources. Every year for the past several years we have had a living Christmas tree in a pot, taken from Crafty Green Boyfriend's mother's garden and returned there after the festive season. Today we chose this year's tree, though it will be a while before we collect it and bring it home. A little late for Hallowe'en I know, but I was impressed by the witches' brooms growing in this birch tree in Silverknowes. Now the leaves have mostly fallen the brooms are more noticeable than they usually are. The witches broom is a growth caused by pests or disease, for example wasps, viruses or fungi. Although they occur in a number of different species of tree, in this country at least they are most obvious in birch trees. Another poem reposted from back in 2006! I also recently reposted an old poem over on my Shapeshifting Green blog, you can read it here. Raspberry Picking on Misty Mountain Review. The autumn colours are still beautiful along the wooded paths leading to Musselburgh Lagoons. This tranquil scene though hides a much more frenetic world on the Lagoons themselves! The oystercatchers had gathered in their hundreds in a large crowd on the lagoons, along with a few curlews. They were hopping around unconcernedly as a peregrine circled overhead, divebombing the oystercatchers then flying up again to repeat the whole process. I think the apparent lack of concern from the oystercatchers' point of view was due to them knowing that if they flew off then the peregrine would have a better chance of catching one of them - though an adult oystercatcher seems a rather large meal for a peregrine (can anyone comment on that?). After several minutes the peregrine flew off without a meal. Later as I was walking along the River Esk returning to Musselburgh town, I saw a kingfisher flash blue under the bridge. Then I managed to catch this cute goose, a cross between a Canada goose and a greylag (in the second photo you can see a Canada goose to the right of the photo). You often see these hybrid geese at Musselburgh. The leaves float downstream until they collide with the stones on the bed of the lade and arrange themselves like this. Wojtek was a bear, rescued as a cub, from a cruel fate as a dancing bear in Iran by Polish soldiers who then kept him as a mascot, friend and helper. This memorial statue, by Alan Beattie Herriot, recently placed in Edinburgh's Princes Street Gardens is a wonderful tribute to a brave and characterful bear (though I do find it astonishing that Edinburgh has far more statues to animals than it does to women). Seeing the statue made me want to find out more about Wojtek and so I was delighted to discover Wojtek the Bear, Polish War Hero a book by Aileen Orr. This entertaining, informative and moving book follows Wojtek from his initial rescue in Iran, through his life in the Polish army during the 2nd World War and in a camp in the Scottish Borders to his last years in Edinburgh Zoo (where one of his keepers was Crafty Green Boyfriend's Dad!) Wojtek truly was a hero, he helped carry supplies, caught a spy and was a huge morale boost for the troops. He loved swimming, making friends, dancing at local dances in the Scottish Borders and eating. He drank beer and smoked cigarettes. As well as telling Wojtek's story, the book outlines Polish history during the war and immediately afterwards, the terrible suffering of Poland during the war at the hands of both the Germans and the Russians. The book concludes by telling the story of the author's campaign to get the statue to Wojtek erected in Edinburgh. A lovely late autumn day today! We started at the exhibition for the proposed housing development on Cammo Fields held at Cramond Kirk, where we posted our comments of don't build on these fields as they are valuable habitat for various farmland birds that City of Edinburgh Council commits to protecting in the local biodiversity action plan. You can read my previous blog posts about this proposed housing development here). We were delighted to see a flock of about 50 lapwings flying around above the river! and along the River Forth to Silverknowes. It's always worth stopping to admire the fish sculpture by Ronald Rae. and the golf course, where the trees were full of birds. Though the birds (starlings, bullfinches, goldfinches, fieldfares and redwings) didn't want to be photographed!